Somewhere, at sometime, someone has published a book that mentions your family. It might be a book from hundreds of years ago, when any one of your thousands of ancestors was featured in a write-up of an important event of the time, a description of a town or county or industry, some noteworthy (or notorious) achievement, or simply some good gossip. Or it might be a book of more recent vintage, and perhaps even cover relatives still living. The best place to explore books online is at Google Books. Google is hell-bent on scanning everything ever written, and though beset with legal problems around the globe, they are managing to amass quite a huge online library. Your family is in there somewhere, in all likelihood. 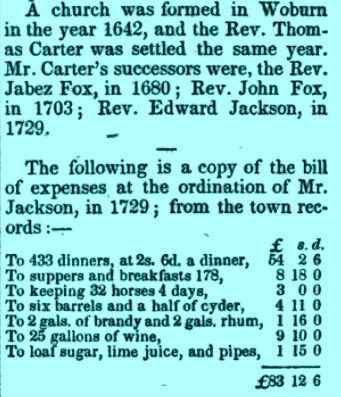 And even if they're not directly mentioned, there are bound to be accounts of towns and villages where they lived, worked, and explored in years past (or even the price of a gallon of wine in 1729). The trick (as always) is finding them. Here are some tips for making the best of the vast resource that is Google Books. Start with a broad, simple search on either the name of a particular person, a family name (if it's not overly common), or a town, county, village, etc. that is of interest to you. Use the Google Books Advanced Search page to focus your results on a given date range. Search just on a book title with the intitle: command. It works this way: a search on intitle:history returns books with the word History in the title. Other title words, such as gazetteer, directory, journal, memoir, genealogy, family, and so on, can help zero in on historical accounts. For instance, a search on Jeremiah Woodward intitle:history will find books that have History in the title, and the name(s) Jeremiah Woodward in the text of the book. Use quotes and wildcards to simultaneously expand and focus your search. A search (in quotes) on "Jeremiah Woodward" will find that exact name in a book, while "Jeremiah * Woodward" will find names that begin with Jeremiah, and end with Woodward, but have a third name in the middle. Go ahead and try these actual searches to see how they work. Use the same strategies to search on items other than family names. This is particularly useful for exploring information on the towns and villages where your ancestors lived. There are other online collections of books, notably at Amazon (register to search inside books and view results) and Questia (a subscription service). And of course, NewspaperArchives and Ancestry also have enormous volumes of text that are easily searched. You can use many of the same search strategies to zero in on your family history.